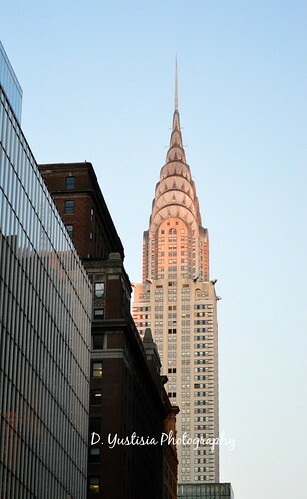 One day, I walked pass by the street in Manhattan and saw the Chrysler Building almost two hours before sunset came. Sunlight reflected on its gleaming metal body creating a pink hue. I was mesmerized. Standing on the edge of busy Manhattan street, I took several shots of the building that its luster lasts through century. 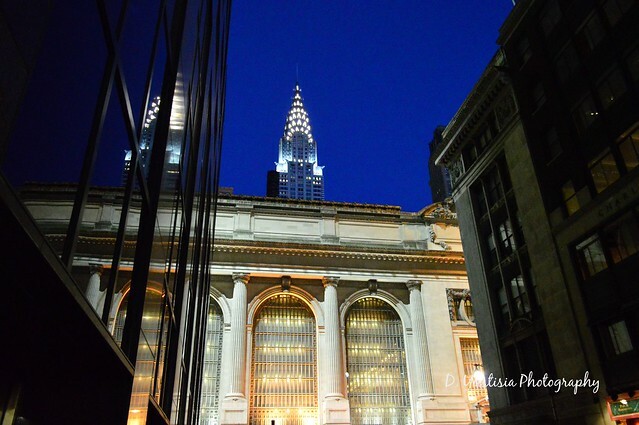 A friend told me how she loves Chrysler Building and wants to visit it someday and I promised her to take some shots if I ever near the vicinity. I went inside a store that lines up Fifth Avenue without caring about the change of scenery outside. Darkness fell and it seemed making Manhattan subdued. The footsteps of some tourists and people coming home from work became less and less. Meanwhile on the other part of the city, people flocked in Times Square where neon lights were the attractions as if moths to the flame. 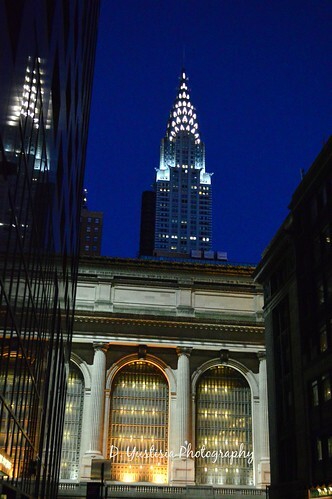 Chrysler Building and its twinkling lights from afar, like a lighthouse guiding some weary and tired people, like me, towards another destination to reach home, Grand Central Terminal. I walked down an alley where I heard the tinkling of utensils and glasses from a restaurant nearby. 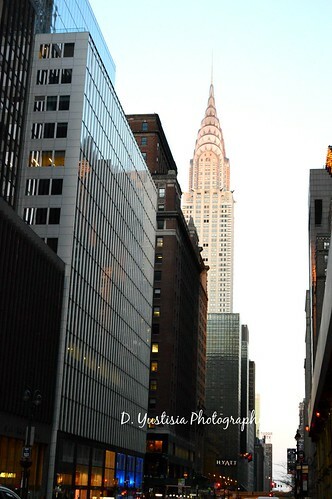 I saw a couple set up a tripod and took some pictures of the Chrysler Building. The mixed smell of dust, old buildings, weather and pee wafted in the alley way. Between the light and the dark, people can get lost in its mystery. As I typed this journal, I remember a discussion between me and a beloved one about sleeping in the dark. I need a sliver of light, just a small source of light, to be able to sleep. I’ve tried sleeping in the dark and it’s hard for me to concentrate. The mystery of the dark makes my mind working on a weird scenario. He said, sleeping in darkness makes his other senses more apparent. I suppose he’s right. I listen attentively when I slept in the dark and sometimes I chose to stay in the dark when migraine hit me. During the full moon, I let the curtain open a little bit to let the light get into the room, then I wouldn’t mind sleeping in the dark. Back in Manhattan, where the wind blew strong and picked up some strewn papers and plastic bags, I saw a man sleeping in front of closed store. He covered his face with his hat, perhaps wanting to hide from the lights of Manhattan that can be blinding to someone who just wanted to have a goodnight sleep.